The Centre for WW1 Internment Conference in March culminated in the unveiling of the sculpture, Spy Fever, a bronze cast of a dress table stool, originally designed in 1916/17 by Charles Rennie Mackintosh, and built by German civilian internees at Knockaloe WW1 internment camp on the Isle of Man. 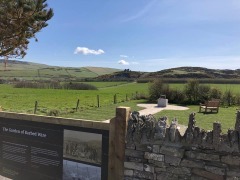 The sculpture was created by Tom Krasny, Visual Artist from Glasgow School of Art and generously supported by the Isle of Man Arts Council and the Department of Environment, Food and Agriculture (“DEFA”). 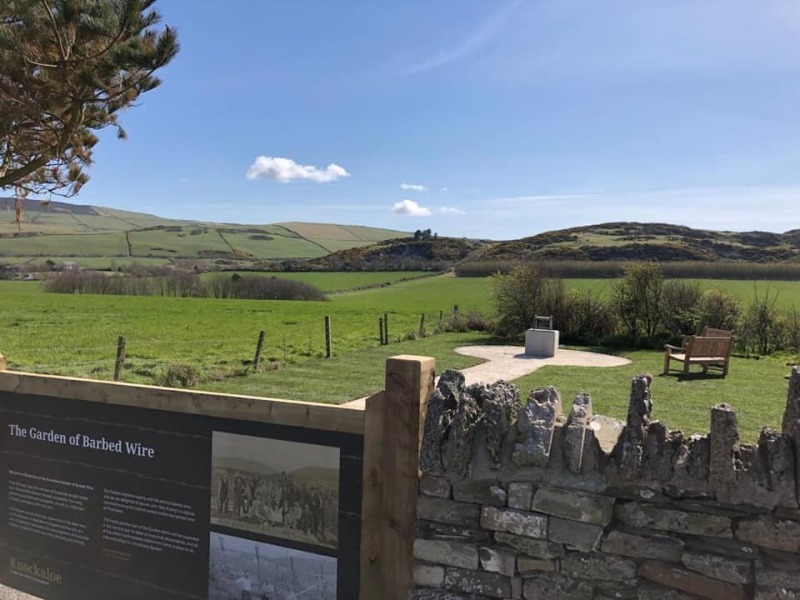 The Knockaloe Charitable Trust is so grateful for the support of DEFA, with their support, the Charity has opened “The Garden of Barbed Wire” on Knockaloe itself, a place for reflection for descendants of those men who were interned on our Island 100 years ago.